Jazz — African style — is Ethiopia’s Mulatu Astatke’s specialty. The veteran musician first reached Western ears with the domestic release of his work with the Heliocentrics, the third installment in the Inspiration Information series. 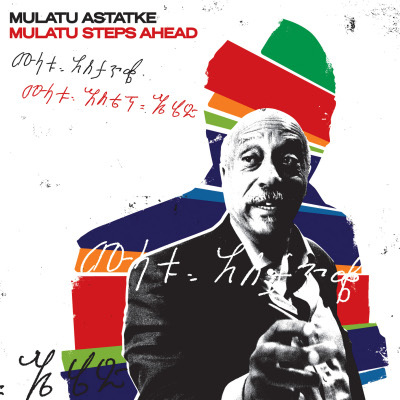 On Mulatu Steps Ahead, the listener is exposed to Astatke’s work across time and space. Collecting together compositions written in the East Coast of the United States all the way to the South of France, it draws from Astatke’s thirty-plus years of musical experience. Mulatu Steps Ahead is a lot more structured than the Inspiration Information collaboration. This can best be attributed to the jazz scaffold that the album is built upon; Mulatu Steps Ahead has strung the Afro-jazz thread throughout. Like the soundtrack to a Discovery Channel program on lions, exotic, hollow woodwind sounds mingle with noodly, self-involved jazz passages, creating a dusty, calming blend. One can almost smell the shimmering heat rising from the ground on “Assosa” while the moodiness of the aptly titled “Mulatu’s Mood” is palpable. Jazz en Afrique. Buy this at iTunes. After the jump, check out a video in which Mulatu Astatke discusses the making of his first album in over two decades.